To catch the attention of the concerned audience and hold it, your presentation must not be boring, distracting or monotonous. There are a few pointers that you may utilize to your advantage for creating a PPT that leave a great impact on your viewers. 5 among the most important tips for PowerPoint Presentation design are explained below. 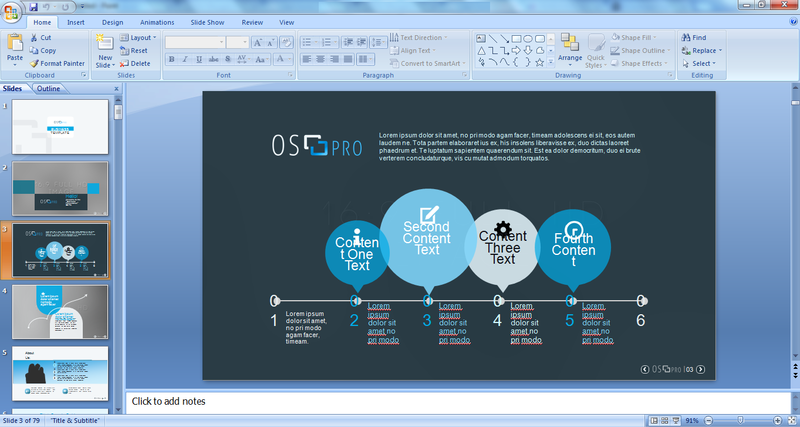 This is regarding the placement and positioning of text in PowerPoint Presentation design. The most important thing must be put where the reader is most likely to read it. For instance, since most of the languages are to be read from left to right, placing of the most relevant information starting from left will make it possible for the reader to pay attention to it and retain it. Typically, most people have an attention span of about thirty to forty seconds and to get them to read long paragraphs in this time is impractical. Instead, break up the text by using bullets and put down points for them to read through, just as most of the professional companies offering presentation creation services do. You must note that people will only run away from your presentation if you try and dump too much information in one slide. Give them only key points and keywords to retain and make a rule to not exceed a particular number of bullet points in one slide and keywords per a bullet point. Keep the PowerPoint presentation design simple and highly professional. It is strongly recommended that you employ dark colours in the presentation only in such a way that the audience doesn’t get distracted. On the other hand, if you are representing your company, you may also use the brand colours of the company and promote it in the process. There are certain fonts such as Times New Roman, Bookman and the like that are not pleasing to the eyes on screen but are only preferred when you have the hard copy of the document. Instead, fonts such as Helvetica, Tahoma and Verdana are much easier to read on screen. You also must try and stick to only one font for the entire presentation to increase the readability. Too much styling will eventually result in your audience getting diverted. Even if you need to highlight a part of the sentence, it is recommended that you use the option of bold, italics and underline. Yet, if you feel that it is absolutely necessary, you can also utilize a colour, however, be sure to use it judiciously. To deliver a clear and comprehensible message to your audience, remember to maintain a structure and keep it as simple as you can. Hiring expert service providers offering exceptional PowerPoint presentation services can also be helpful.